At Buckland Law Firm, P.L.L.C., we work vigorously to protect our clients from criminal law charges and so much more from our Pearisburg, Virginia, office. 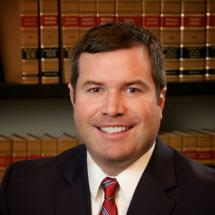 With his vast amount and depth of legal experience, however, our attorney Jason Buckland provides so much more. He offers a partnership of efforts to all of his clients, be they business owners or those requiring assistance with their personal legal matters. The Buckland Law Firm, P.L.L.C., handles employment issues such as noncompete agreements, covenants against competition and trade secrets. Along with his astute business capabilities, Mr. Buckland maintains his strong affinity for the people of Virginia and their day-to-day legal needs. As such, he is the personal attorney for many clients in Giles County and the surrounding communities of the New River Valley and Southwest Virginia. Mr. Buckland provides free initial consultations. The firm also ccepts credit cards.